Owing to the fact that Nigeria has a youthful population and many of them are on social media, it is now an unwritten rule for businesses including those in the hospitality sector to have a strong social media presence. This is because the best place to engage customers is on social media according to Omolara Adagunodo, the Managing Director of Jumia Travel , Nigeria’s No 1 hotel booking portal. 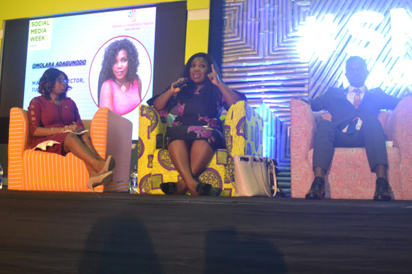 Adagunodo made this statement while speaking on the topic ‘‘Connecting the Dots: Hospitality, Social Media & The Customer Experience” at the panel session organised by Women In Hospitality Nigeria (WIHN) at the ongoing Social Media Week Lagos held at Landmark Event Centre. Abass advised social media managers not to ignore or delete comments as this action may escalate to a social media crisis. Social Media Week Lagos is a week-long conference that provides the ideas, trends, insights and inspiration to help people and businesses understand how to achieve more in a hyper-connected world. The post The best place to engage your customers is on social media, says Jumia Travel MD appeared first on Vanguard News.